Since it’s been a while since I posted photo 26 on my instagram account, it took me some time to re-figure out that this photo was taken while staying at Long Beach Resort Hotel in Bauang, La Union. 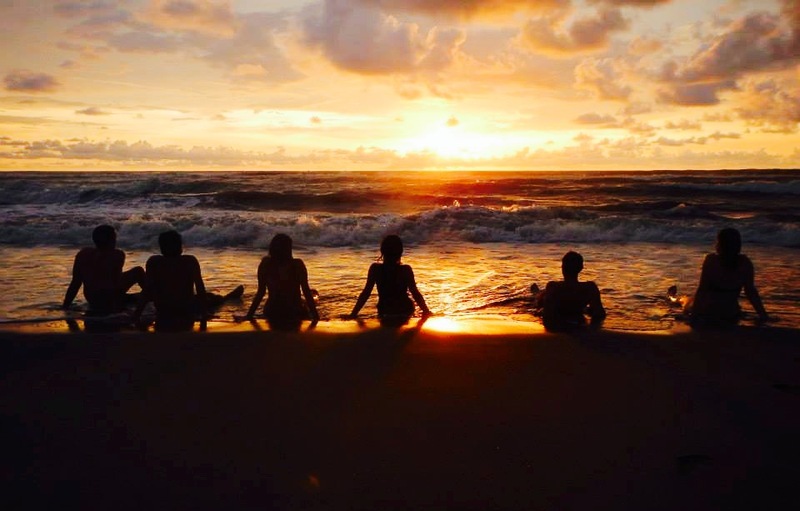 As one of the many coastlines of northwestern Philippines, Bauang is known for its spectacular sunsets. This photo, however, was taken at sunrise and it has taken me by surprise! And yes, I woke up super early coz that was the only way I’d get some R&R time as this trip was actually official! 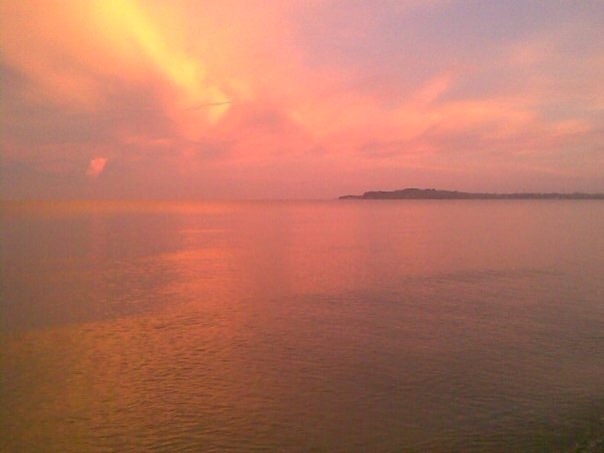 🙂 I didn’t realize it could be a really nice view as well, with the super calm waters and the fiery hue of the sky! 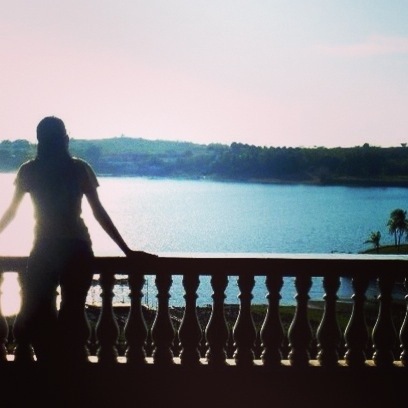 And no, I didn’t use any digital imaging with this photo since, at the time it was taken in mid-2009, hashtags aren’t even born yet and #nofilter more so! So this is just plain ‘ol Bauang sunrise and natural goodness for y’all! Before the Wider Role of Volunteers training ended, each of the participants were given several VSO- and Philippine-related stuff. One of which, is a Philippine map packaged as a tourist information brochure. 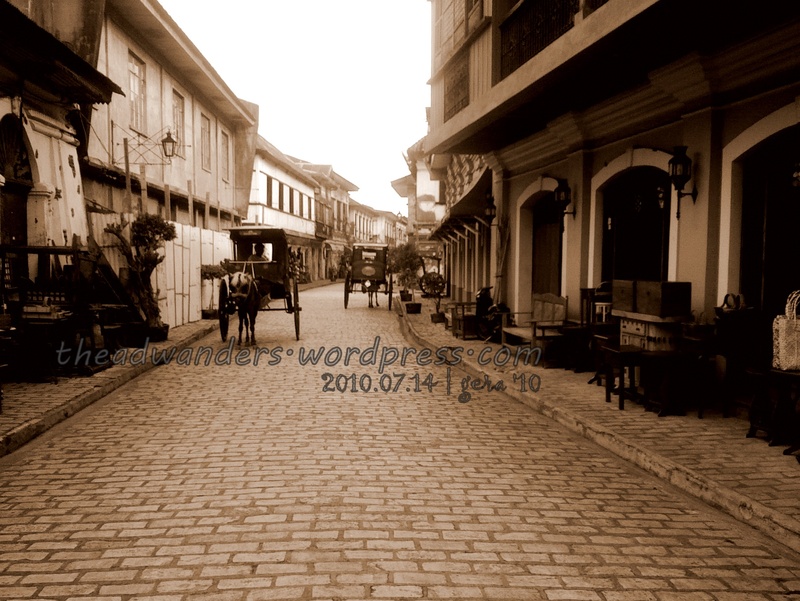 The first page of that brochure showcased the famed cobbled-stone path of Calle Crisologo in Vigan, Ilocos Sur.